Click for a sample map. 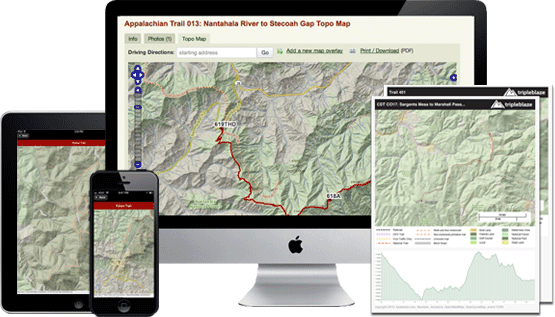 Access interactive topo maps including section hikes like the Appalachian Trail and Pacific Crest trail. Plus download and print unlimited maps. Co-op members can earn FREE TOPO MAPS by adding just 30 contribution points in new content. Need maps now? No problem, pay for instant access today.